Mitchell-Innes & Nash is pleased to announce, on the 180th anniversary of Paul Cezanne’s birth, the launch of the artist’s complete online Catalogue Raisonné. The Catalogue Raisonné of Paintings was launched in 2014 under the direction of Walter Feilchenfeldt, Jayne Warman and David Nash. Today marks the complete integration of all the watercolors and drawings by Paul Cezanne to the site. Take the CR of Paul Cézanne, who lived between 1839 and 1906. The original CR was organized by Lionello Venturi and published in two volumes in 1936. 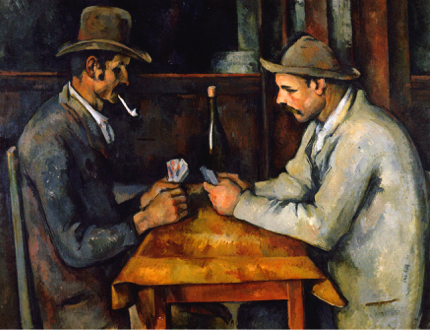 It contained lists of over 1,000 works by the artist, along with 1,634 black and white illustrations, presented by medium (painting, watercolors, lithographs, etchings, and drawings) and organized more or less chronologically using Cézanne’s four major periods: Academic & Romantic, Impressionist, Constructive, and Synthetic. Most notably, the 1936 compendium also listed works that were missing, by whatever means.